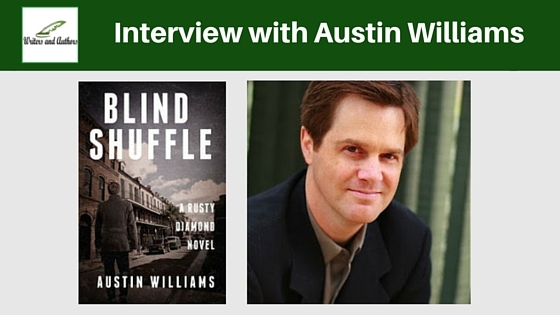 Blind Shuffle is the second in a series of thrillers featuring the character Rusty Diamond. A washed-up Vegas magician who reinvents himself as an amateur sleuth, Rusty uses the tools of his former trade to combat a broad range of criminal elements. Each Rusty Diamond book is written as a stand-alone thriller that does not require any familiarity with the previous novels, through readers who take the books in order will notice certain instances of continuity that add to the larger narrative. In Blind Shuffle, Rusty travels to New Orleans to reconnect with his estranged mentor in the art of magic, only to find himself embroiled in a desperate search for a missing woman. Readers are given a few more pieces in the puzzle of Rusty’s past in this book, including a complete account of the horrific event that caused him to flee Vegas and go into hiding in fear of his life. At the end of a writing day, it’s a good idea to leave one small chunk of work unwritten. Even if it’s so clear in your mind that you could easily spend another thirty minutes knocking it out—don’t. Resist the temptation and let it percolate overnight. When you commence work the next day, you can immediately dive into a piece of writing about which you’ve already formed a positive impression. This helps to eliminate a common hazard for the writer—that unpleasant sensation of sitting down to work and asking yourself: “Where do I start?” By saving a nugget of uncompleted work from the previous day, you’ll never have to answer that question. 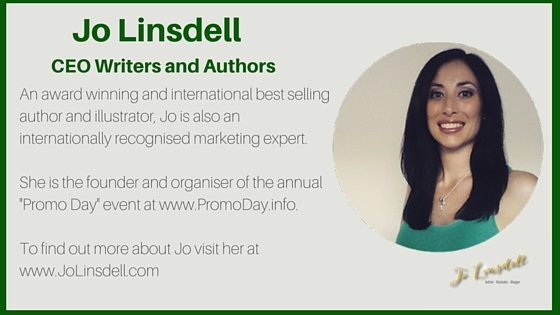 It can vary, but a presentable first draft generally takes about six months. The amount of time that passes from the first draft to a finalized and fully edited manuscript depends on the extent of necessary revisions. Having a book published and available to readers eighteen months from the date when I first begin working on it seems reasonable, though it’s wise to allow for some flexibility from one project to the next. I rely on two very different kinds of research which are equally important: online and in the field. Having access to every encyclopedia in every library on the planet via Google is obviously a huge advantage contemporary writers enjoy over their predecessors. Online research is invaluable but not comprehensive, in my experience. I place a premium on location when developing a story, and try to create a sense of place for the reader in each scene and chapter. To gather an adequate amount of locational details—street names, landmarks, details of architecture and speech that comprise local color—I find it very helpful to visit whatever set of coordinates on the globe I’m attempting to render in fiction. Blind Shuffle takes place in and around New Orleans, and a week-long trip I made there to gather information in 2013 proved invaluable. Who is you favourite character in your book and why? I enjoy writing the central character of Rusty Diamond, because he grows more complex and yet hopefully more relatable with each new book in the series. One of the earliest concepts I had was that Rusty should be an enigma to readers at the start of the first book. He has a shadowy backstory that comes together in bits and pieces as the series progresses. Each book in the series is written to function as a stand-alone thriller that requires no familiarity from the reader with the previous books. However, there is a larger narrative connecting them all, in which the mystery of Rusty’s past becomes gradually unveiled. Ideally, the more readers come to learn about and understand Rusty, the more invested they’ll be in his ultimate fate. I’m currently writing the third book in the Rusty Diamond series, to be published in late 2016 or early 2017. In keeping with the pattern established by the first two entries, this book will take Rusty to a new location—Las Vegas—and challenge him with a new set of threats and antagonists. I try to resist the temptation to “raise the stakes” with each successive installment, feeling it’s more important to just write a book that works on its own merits. Nonetheless, it does seem like the level of jeopardy facing Rusty tends to escalate the further the series progresses. Hopefully he’ll find a way to survive his mission to Vegas and perhaps return to fight another battle. I’m rereading Gates of Eden by Ethan Coen. It’s been a few years since I’ve paged through this collection of short stories by the younger half of the Coen Brothers filmmaking team, and the enjoyment is undiminished. As with most short story collections, some entries are stronger than others, but they all contain the specificity of tone so familiar to fans of the bothers’ films. Ethan Coen writes dialogue with the same formalist’s precision as David Mamet. Every comma, semicolon and ellipsis is there for a reason, exactly where the author intends it to be. 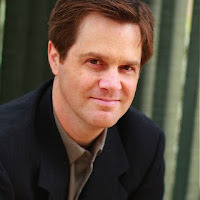 The result is a tempo of language that’s both stylized and realistic, and the overall impression is of a master craftsman doing detailed work for his own enjoyment as much—if not more than—his readers’. Too many to list. That’s not a glib answer, just an acknowledgment that after decades of steady reading my tastes and tendencies have been shaped by a pretty diverse range of literary voices. Also, I’d be lying if I denied the influence of movies on the kind of fiction I write, with an emphasis on dialogue, pacing, and what film academics call mise-en-scène. 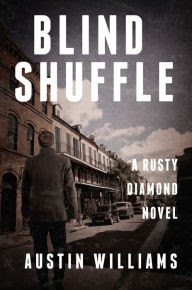 Blind Shuffle, as well as the previous Rusty Diamond book Misdirection, is available in trade paperback and e-reader editions, through all major online retailers and a selection of brick-and-mortar bookstores. I’m grateful for any purchase of my book—in whatever format and through whatever channel—though a print copy bought at a traditional bookstore carries a special charm for many writers in this increasingly digital era.